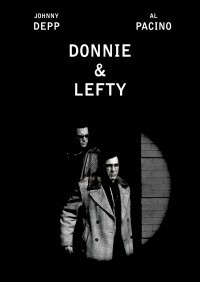 This is now a movie about the rise of a young gangster (Donnie Brasco) and the fall of a veteran gangster (Lefty Ruggeiro). I love the original Donnie Brasco. This certainly did not need to be edited. But, I thought it was an interesting take on the movie if you eliminate the FBI angle and focus on a mob story. So I'd been wanting to watch this for awhile. Before I got around to watching it, just for fun, as an editing exercise, I attempted my own edit with the same goal as Adabisi. It was interesting going into this edit having already attempted it myself. Now I wasn't aiming for perfection with my editing "exercise", I just wanted to see what choices needed to make, spots that were tricky, etc. etc. Adabisi overall did a great job with this. We made similar choices, for the most part, and he pulled it off fairly seamlessly. I do have to agree with Captain Khajiit that the scene on the airplane (where Donnie sees the paper with the article about the Abscam boat) should have been removed, to preserve suspense and make it more of a surprise. That was my only complaint though. A very enjoyable, fast paced edit and a fun alternate version of the movie. I think very highly of the original film, and consider the theatrical version almost perfect, so I had mixed feelings about a fanedit. Nonetheless, I gave it a go. The removal of the FBI story increased the pace of the film considerably, and this made for an exciting ride. It’s definitely a new way to view the film. In fact, the whole concept of the edit was rather creative, and it really begins to grow on you when you get into the film. The cuts are sensible given the aim of the edit and are more or less seamless, even when one knows the original as well as I do. 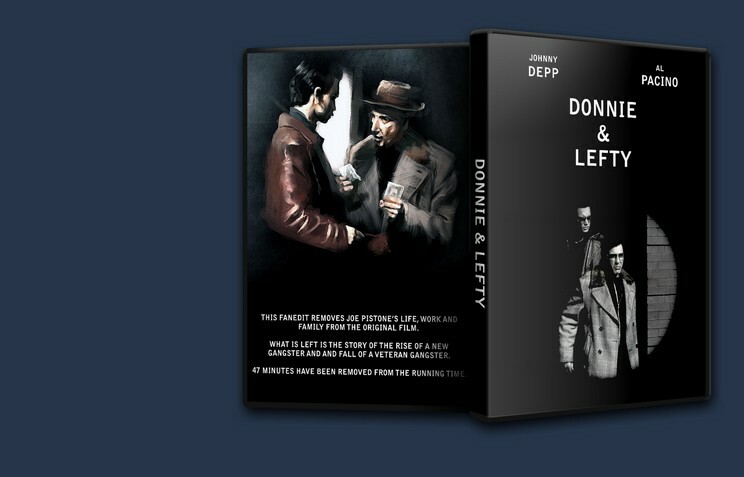 My only wish is that the faneditor had found a way to remove the fact that Donnie is an FBI agent at the end, and devise a new ending to the film. Although I acknowledge the great difficulties this would involve, the way the edit ended didn’t quite feel right for me. It does pass as a surprise ending, but I feel the scene when Donnie hides the article from Leftie on the plane anticipates it, and really should have been removed.